Personally, I detest the taste of the macadamia nut. 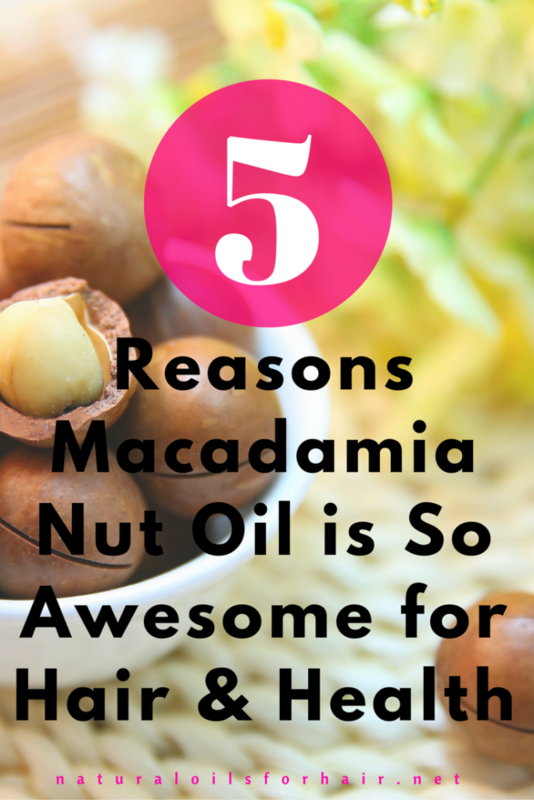 However, macadamia nut oil has got some good stuff going for it when it comes to hair care. I like the subtle smell and rich feeling of macadamia nut oil. Macadamia nut oil aka macadamia oil is extracted from the nutmeat of the macadamia tree, macadamiaintegrifolia, which is native to Australia. Macadamia nut oil is a clear, light amber colour with a slightly nutty odour. The macadamia nut tree is also called Australian nut and Queensland nut. Macadamia nut oil is popular in cosmetic formulations because of its emollient properties. It’s also common in cooking and is one of the recommended cooking oils for the keto diet. In hair products labelling, you may find macadamia nut oil written as macadamia ternifolia seed oil. Macadamia nut oil has a stable shelf life of up to 2 years. Store in a dark coloured bottle away from heat and sunlight to make it last that long. Use it in your DIY formulations to prolong their shelf life. Macadamia nut oil has healthy amounts of magnesium, manganese, thiamine, copper, and iron; all nutrients required for stronger and healthy hair growth. Macadamia nut oil is a rich source of squalene, a naturally occurring antioxidant found especially in human sebum. Squalene acts as an emollient helping hair to retain moisture and promote softness. Another oil with lots of squalene is olive oil. 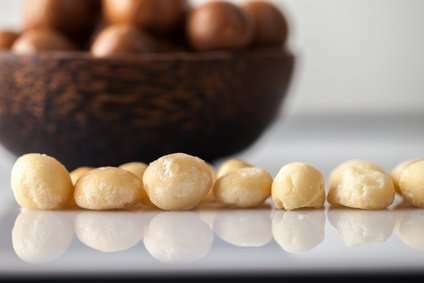 Macadamia nut oil contains a high amount of palmitoleic acid (omega-7), prominent fatty acid and natural moisturizer. Palmitoleic acid hydrates hair and restores softness to very dry hair. 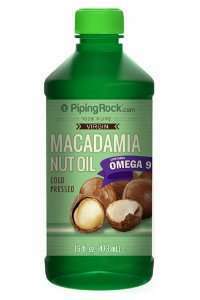 Is Macadamia Nut Oil Good for Cooking? Macadamia nut oil is a heart-healthy oil. Additionally, the amount of palmitoleic fatty acid in our body reduces as we get older. 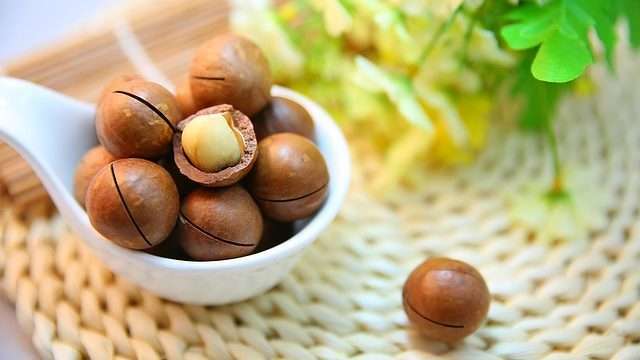 To replenish this anti-ageing fatty acid, consider including macadamia nut oil in your diet. Sautee vegetables in macadamia nut oil or drizzle over salads and hummus. Read Guide to the Best Cooking OIls for the Ketogenic Diet for more ways to include macadamia nut oil in your diet. Mix the macadamia nut oil, olive oil, vitamin E oil and banana puree into the deep conditioner. Apply the warm mix to hair after shampooing. Deep condition with a hair steamer as usual. In this hair mask recipe, you can also substitute olive oil with coconut oil, sweet almond oil, and avocado oil. Mix all the ingredients in the applicator bottle. Apply to your hair and shampoo thoroughly. In addition to softness, macadamia nut oil deep conditioning treatments can also reduce frizziness in hair and eliminate dry scalp. 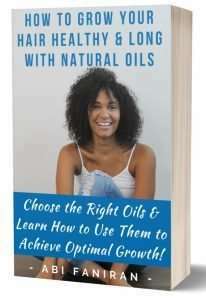 The guide goes in-depth into which specific oil (s) works for each hair issues for optimal length and health. It is updated every year with new and relevant information.